Why do you think some children get on well with their parents, whilst some other don't seem to get along with them at all? Do you think it's instinctual, perhaps? A flaw within their genes? Or better yet, something seen within this 82 minute movie made in 2010, created by the Director: Edmund Coulthard; with his Actors: Christopher Eccleston and Christopher Fairbank. Now let's face it, Dad (Christopher Fairbank), you and I have never seen eye to eye, have we? We've always rubbed each other up the wrong way whenever we meet. Be it when my manager, Brian Epstein (Rory Kinnear), got us together many years ago in some shoddy hotel room in London. Or be it a few years later, when you came to visit me at my country estate, and asked me for some cash because you got a young girl up the duff. Alright. I more than understand what you were thinking of at the time You most probably said to yourself, 'My son is the world famous Beatle, John Lennon (Christopher Eccleston), and he doesn't seem to do anything wrong with his life'. Right? But I do, do wrong. Don't I, 'Freddy'? For a start I piss most of America with my ‘Jesus comments’. Then me and my wife, Cynthia (Claudie Blakley), begin to drift apart. And to top it all off, every move me and the band make, just doesn't seem to work out one little bit. Apple Corps -- the Maharishi -- or that fiasco with ‘The Magical Mystery tour’ -- one way or another whatever we do, just.. well... you know what I'm going to say. Still. That's most probably why what next transpires all falls apart, when I bump into a Japanese visual artist called Yoko Ono (Naoko Mori). As the Beatles call it quits - the peace movement does the splits - a drug charge pisses me off - and as push comes to shove, me and my pappy finally have a face off. Now after reviewing 'Nowhere Boy' I said to myself, 'Hey, you f*cking idiot! While you're in the mood for reviewing bio-pics, why don't you review that other one relating to John Lennon's relationship with his father? As you never know, somehow both of these movies combined may give you more of an insight into John's personal life'. And do you know what? I was right you know. Once I eventually sat down and watched 'Lennon Naked', I found out that my initially presumption was true -- both movies do complement each other on a narrative level. With one of them acting as a motherly question, whilst the other one acts as a fatherly answer. But having said all that, dear reader, it also made me somewhat frustrated as well. You see, with me being a big Beatles fan, I'd say this fragmented film chronicles a disjointed father and son story-line -- encompassing over seven years of John Lennon’s personal life -- whilst leaving out some key pivotal moments within the whole Beatles mytho’s. So if you a fan like me this makes the whole experience feel somewhat benign to watch. Strange even. Now if the makers of this movie set the whole thing in a closed room, with just John and Freddie speaking to each other for the entire eighty two minutes -- from this -- I think I would have understood the basic idea behind the pretext much more succinctly than I actually did. Admittedly. I more than understand why they had to do it in the way they did to begin with. How else can you have a film about John Lennon during this time period, without seeing the Beatles or not hearing their music? However, that's the point I'm trying to make, isn't it? This film is about John and his Dad, and everything else is just back-story to justify John’s actions. Still, apart from that slight gripe, all in all this movie was a great movie. Christopher Ecclston does a much better job at playing John Lennon than he ever did at playing Doctor Who. Plus he was complemented greatly by a smashing supporting cast -- especially Christopher Fairbank, who plays John’s lush of a father to a tea. Also, the style of this film is top notch as well. In a very clever fashion it has inserted some appropriate archival footage to complement the artistic tone of this piece. And in turn this has visually enhanced the characters moods within the scenes. Anyway. I think it best if I stop myself there, folks, because this feels like a pretty good time to present you with the following filmic-facts. (1) 'Blast! Films' first screened this production in Japan on the same day England drew one a piece with America in soccer -- the 12th of June, 2010. (2) Loosely translated, this project was entitled 'Being John Lennon' in Italy; and simply 'Lennon' in Hungary. (3) The majority of this movie was shot on location throughout the English city of London. (4) Robert Jones, who was the writer that penned this bio-pic, also wrote for such British television shows as 'Stanton Blues', 'The Bill', and 'Pie in the Sky'. (5) Despite being 46 years young at the time of filming, Christopher Eccleston was still cast to play a 20 year old John Lennon in this flick. 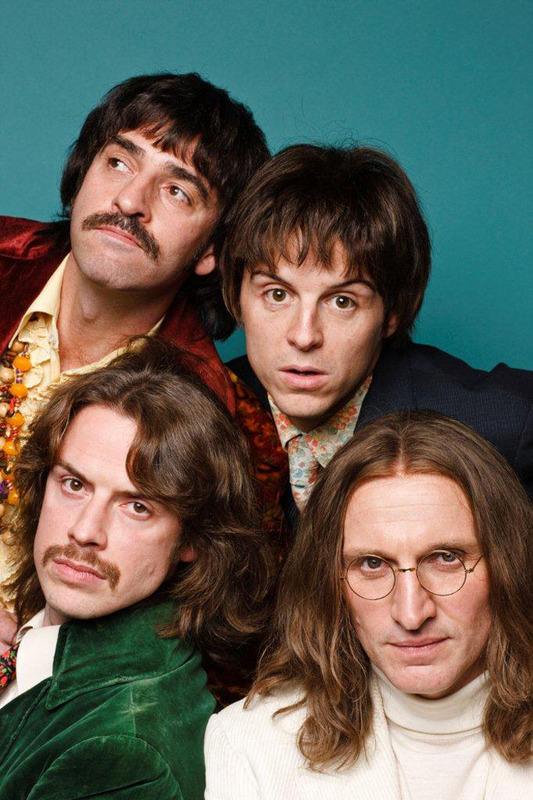 (6) Rory Kinnear, who played the Beatles manager, Brian Epstein, in this film, is the son of Roy Kinnear, who starred alongside 'the Beatles' in their 1965 film, 'Help! ', plus John Lennon in his 1967 film, 'How I Won the War'. (7) Now for those of you who've watched the first Tim Burton Batman movie, the man that played John Lennon's Dad in this one, Christopher Fairbank, was the first hood Batman held up by the scruff of his neck, and spouted those immortal words, 'I'm Batman'. (8) After this movie went to a counselling season, Christopher Eccleston starred in the dramatic-short, 'The Happiness Salesman'; Christopher Fairbank lent his voice to the video-game, 'The Last Story'; and Naoko Mori appeared in the television series, 'Private Practice'. 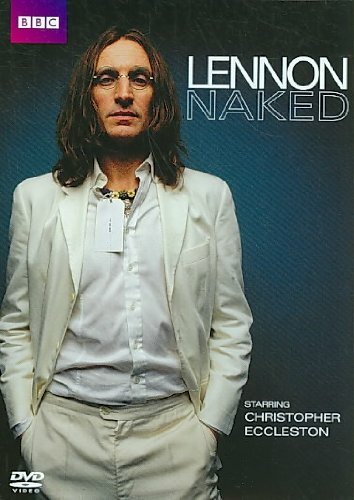 Overall I'd say 'Lennon Naked' was a fairly fine film to sit down and watch. It was well acted and it was well presented. Although I wished they could have concentrated more on the ‘through-line’ rather than the ‘back-beat’. Ouch! Beatles pun. Nuff said.